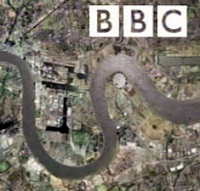 EastEnders has recently been running a fostering storyline. After the great work they did in 2011 with Comic Relief, highlighting childhood sexual exploitation in a special film, I was expecting writing of similar quality. Sadly, on this occasion they fell a long way short. The character of Jade has been placed in foster care, and EastEnders has the birth family track her down at her foster placement easily. We also discover that the foster carer she is placed with will accept cash bribes to cut some of Jade’s hair and pass it to the birth family so they can undertake a DNA test to ascertain her parentage. The foster carer then arranges contact with family members who Jade has never met before. Teenagers deserve foster families too, but who will take them on? So far, so dramatic you might say. To an extent fair enough: this is fiction so why not pump up the drama? Except that every day more than 50,000 foster carers are looking after our most vulnerable children on our behalf. They are doing this for little money and sometimes with inadequate support. They are, as Lord Laming recently said, “heroes of the state”. None of them, not one, not ever, would do anything like the EastEnders storyline. And we need more of them, desperately, more ordinary people with the heart, the emotional stamina and the determination to do extraordinary things for the children they care for on our behalf. EastEnders has millions of viewers, some of them foster carers, some of them children in foster care and some of them potential foster carers. How many might have been put off by the cynical, poorly researched and downright nasty portrayal of foster care by the BBC?